The Chester County Health Department has been notified of the County’s first confirmed case of Zika Virus by the Centers for Disease Control and Prevention (CDC). This case involves a Chester County woman (not pregnant) who had recently traveled to an area affected by mosquitos carrying the Zika Virus. The patient was not hospitalized and has recovered. Upon confirmation, the Chester County Health Department advised her of protective measures to reduce the risk of further mosquito bites. The Chester County Health Department is collaborating with the Pennsylvania Department of Health and Pennsylvania Department of Environmental Protection in a public health response to the Zika Virus, and has issued an alert to all county health care providers. 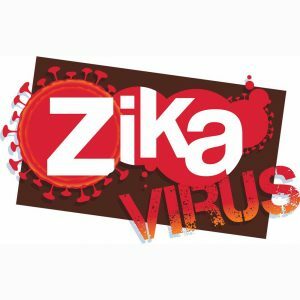 The alert reiterated the importance of reviewing and following the testing and risk reduction guidance for Zika Virus. To date, 23 cases of travel-associated Zika Virus have been confirmed in Pennsylvania. There are no locally-acquired cases of Zika Virus in Pennsylvania. Chester County Health Department Director Jeanne Casner reminds residents that there is minimal risk of contracting Zika from mosquitos in Chester County. “For anyone traveling to countries affected by the Zika Virus, we urge caution and note that pregnant women in particular should avoid travel to affected countries,” she said. “Here in Chester County, mosquito prevention starts with each and every one of us. Protect yourself, your family, and your community from Zika and other viruses by using screens on the exterior of your home, use insect repellent, eliminate standing water inside and outside your home and wear long-sleeved shirts and pants,” adds Casner. The Zika Virus is primarily transmitted through the bite of an infected Aedes species mosquito, which is common in warm climates. Most people infected with Zika will not have symptoms, but for those that do, the symptoms are mild and last several days to a week after being bitten by an infected mosquito. These symptoms can include a rash, joint pain, conjunctivitis and fever, and less common symptoms include muscle pain and headache. For more information, and for helpful links to CDC guidance on Zika Virus, go to the Chester County Health Department web page www.chesco.org/health.